I’ve just finished reading, Freedom’s Child: The Life of a Confederate General’s Black Daughter by Carrie Allen McCray. It tells the story of McCray’s remarkable mother, the child of a former slave and Confederate general who goes on to become a lifelong activist for what she calls “full freedom” for black people. 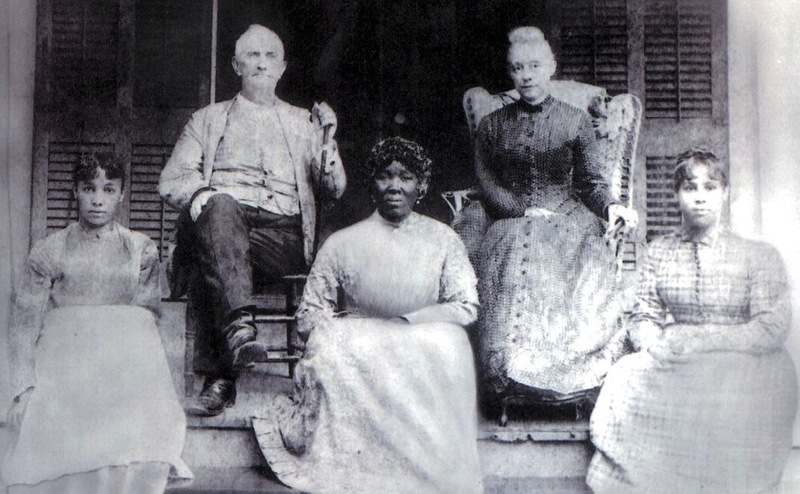 Anyone following my blog knows that my great, great-grandmother Tempy Burton was a slave and had several children with her former owner, Col. W.R. Stuart, a confederate like McCray’s grandfather. (Stuart wasn’t a colonel in the Confederate Army, however. This honorary title probably came from his association with a fraternal order). The author spent most of her life in the same town that I live in now. I pass her family home just about every day. Before moving to New Jersey, she lived in Lynchburg, Va. I’ve been traveling to a town just outside of Lynchburg annually for the past four years as part of a writing retreat. The person who lent me the book was my minister. It was a present to him from the writer. While McCray did not belong to my congregation, research for her book brought her there. Her mother collaborated on many anti-segregation causes with former ministers in my congregation. I’m sorry I didn’t know about Ms. McCray before she died two years ago. How wonderful it would have been to meet her, perhaps here in our own town or down in Lynchburg during one of my writing retreats. I would have liked to thank her for her book. It’s both a moving tribute to her mother whose tireless efforts I continue to benefit from, (among other things, she helped integrate our town’s movie theaters) as well as an important addition to our country’s history. S.C. author Carrie Allen McCray Nickens, 94, dies | The Herald – Rock Hill, SC. That really is incredible. How much you two would have had to talk about! Does she have any close living relatives? It might be interesting to see if they shared in her research. So Close..It’s unfortunate you didn’t get to meet the author. Maybe there is someone else in the family that might be able to fill in the gaps, or knows stories about Ms Mcray’s writings. A book I too would enjoy reading. Fascinating story. I knew her as “Aunt Carrie” as she is the Grand-Aunt of my best friend Gila. She also happens to be the author of one of my favourite poems. I will be happy to put you in touch with the family. Thanks Dionne. Looking forward to this read! I am so glad I found this blog. I find your work so incredibly interesting. I would love to find out about my maternal grandmother’s family. Thanks for reading, Robin. I hope you do pursue your maternal grandmother’s history. There is so much work you can do online. Where was she from?